Ready to get your party on🦌 Adelaide is ready! While this town might have a sleepier reputation than some of its peers, there is no shortage of fun to be had within the City of Churches. Find the accommodation that suits you best, and let’s hash out a killer Bucks party for you and your mates! From dorm accommodation to luxury apartments – a professional party planner will organise a bed for each of your mates to make sure you wake up (relatively) fresh after your big nights out on the town! This backpackers hostel comes complete with all the basics, for an awesome value. 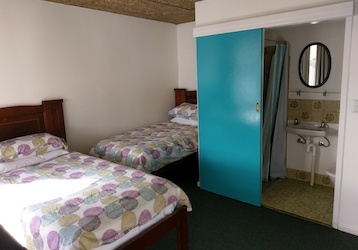 Dorm rooms, along with some private rooms with ensuites, are clean and well-maintained, and provide a great spot to relax and rest up after a day of fun and debauchery. With the bulk of the CBD within 15 minutes of walking, and free bike hire to explore further, you will be well taken care of here. Our lovely mid-range option lays out a bit more of the red carpet. With studio, 1 and 2 bedroom apartments to choose from, you gain a whole lot more privacy over its budget counterpart. A licensed onsite bar and restaurant, gym, onsite parking, and free Wi-Fi round out the amenities offered here. Not a bad look, we reckon! Finally, our premium option for your Adelaide Buck’s party takes things to a whole new level. 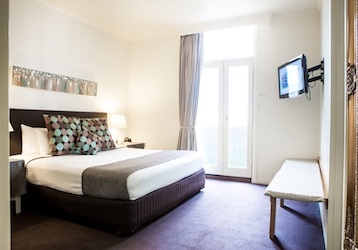 This four-star hotel provides serviced apartments, with 1, 2, and 3 bedrooms within them. 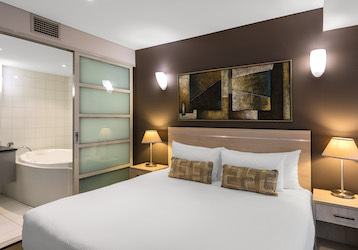 Kitchen and laundry facilities, cable television, free Wifi, and luxury in-room spa baths ensure that you are truly celebrating in style.